Halle (Saale). With its latest venue in Halle (Saale), Merkur Spielbanken Sachsen-Anhalt GmbH & Co. KG, a joint venture between the family-run Gauselmann Group based in Espelkamp (North Rhine-Westphalia) and Stadtcasino Baden AG, Switzerland, remains committed to its concept for Europe’s most modern casinos. The new casino in the historic premises of the congress and cultural centre at Franckestraße 1 was officially opened on Friday, (22 February) with the obligatory ribbon-cutting ceremony in the presence of representatives from the political, social, administrative and media sectors. 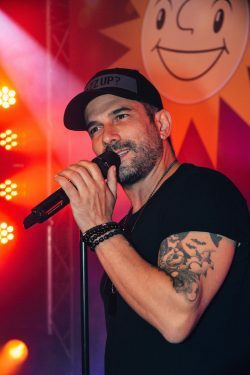 The festivities continued on Saturday (23 February) with numerous activities and performances by pop singers Oli.P and Marc Terenzi. Paul Gauselmann, company founder and Chairman of the Gauselmann Group, described the development of Merkur Spielbanken Sachsen-Anhalt. The company already operates two casinos, one in Leuna-Günthersdorf and the other in Magdeburg. 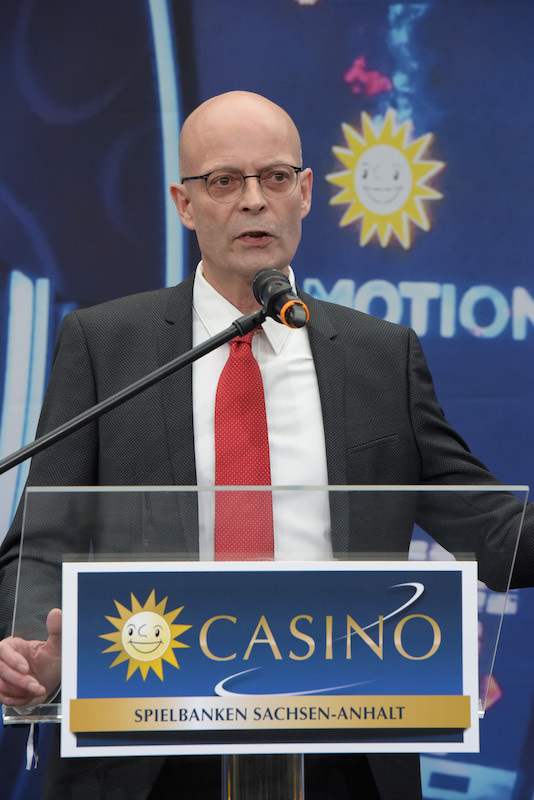 “We are grateful to have been awarded the licence to operate casinos in Saxony-Anhalt, and we are confident that our new venue in Halle will hold the same appeal and fun factor for players as the two previous casinos in Leuna-Günthersdorf and Magdeburg,” said Paul Gauselmann. These two locations were indicative of the company’s success: “Within as little as four years, both visitor numbers and the average length of time spent have more than doubled.” In his opening speech, Paul Gauselmann also thanked entrepreneur Hans Rudolf Wöhrl, who lets the historic premises in the Franckestraße. 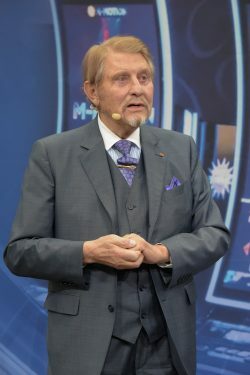 David Schnabel, Managing Director of Merkur Spielbanken, described the unique concept: “We have completely rethought and revised the casino operating concept that has been around in Germany for the past few decades. 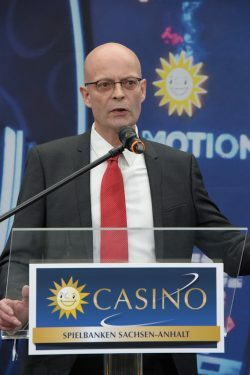 The result is Germany’s most modern casino and our operating results confirm that with this approach we are on the right track.” Among the success factors he mentioned “the great atmosphere, attractive games, innovative processes and highly qualified staff”. 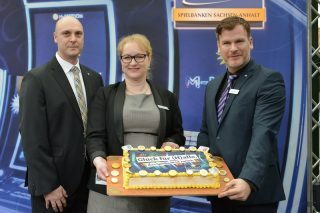 He thanked Tobias Hellbach, Head of Merkur Spielbank Halle and Deputy Head Barbara Kepinski with a large cake in the design of Merkur Spielbanken. “You’ve put together a fantastic team,” said David Schnabel. Tobias Hellbach and Barbara Kepinski have many years of experience in the coin-op sector. In total, the new Merkur Spielbank in Halle has created 20 new jobs. Places are still available on the industry-specific training course leading to the qualification of coin-op specialist due to start in August of this year. 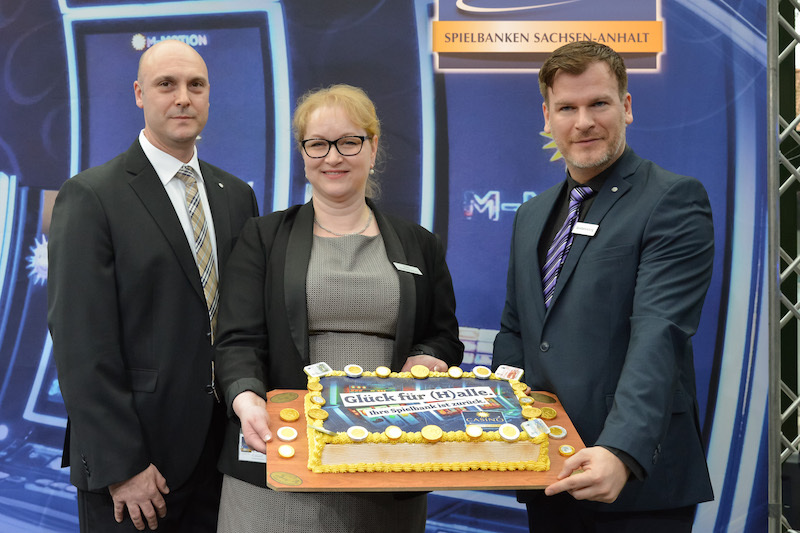 Merkur Spielbanken Sachsen-Anhalt has invested over four million euros in the location. 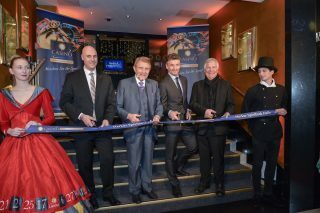 The new casino has a total area of 800 sqm, with a gaming area of 340 sqm. Players can choose from 84 slot machines with jackpot systems, 3D machines, electronic roulette and blackjack as well as the latest gaming machines made by Gauselmann. Just as in the casinos in Leuna-Günthersdorf and Magdeburg, a modern ticketing system is used in Halle that replaces cash counters and offers players greater convenience, movement between games and flexibility. A gastronomic offering and small events round out the portfolio. In the adjacent passage of the DORMERO congress and cultural centre, the German Coin-op Museum is presenting a selection from its unique collection of historic vending machines belonging to the Gauselmann entrepreneurial family, which currently includes around 1,800 exhibits from all over the world. On Saturday, casino visitors were treated to a colourful entertainment programme with promotions and competitions. Highlights included performances by pop singers Oli.P and Marc Terenzi. The winners of the casino competition got to meet the stars at a meet & greet event. The new Merkur Spielbank in Halle is open from Sundays to Thursdays from 10 a.m. to 3 a.m., and Fridays and Saturdays from 10 a.m. to 4 a.m. Admission is free for players over the age of 18 with valid ID.